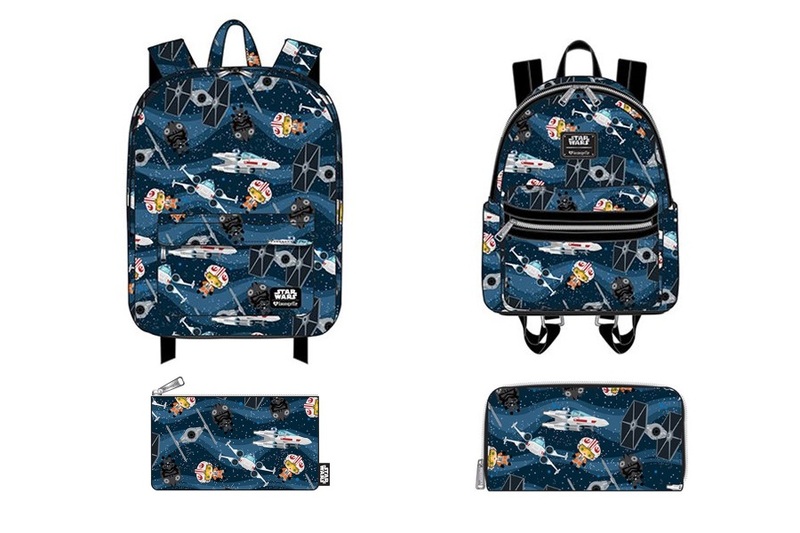 This cute new Loungefly x Star Wars Chibi Starships bag range is now available for pre-order at Entertainment Earth. 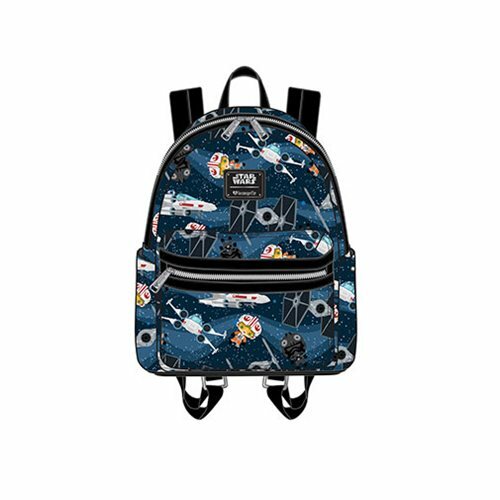 The range includes a faux leather mini backpack, faux leather zip-up wallet, nylon backpack, and nylon zip-up bag (coin purse/makeup bag/pencil case). 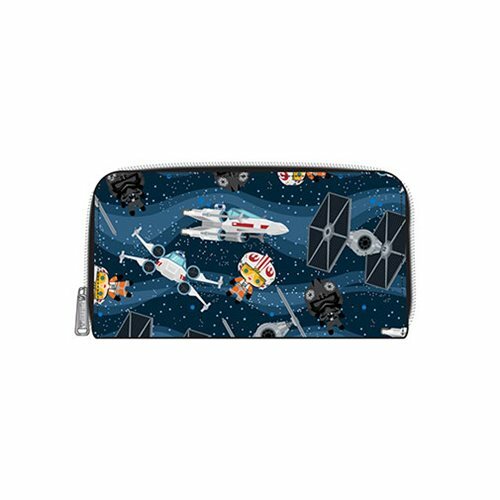 All four items feature an all-over print of a blue-toned starry sky, with X-Wing fighters, Rebel pilots, TIE fighters, and Imperial pilots! The chibi style of the artwork is very reminiscent of Funko Pop! 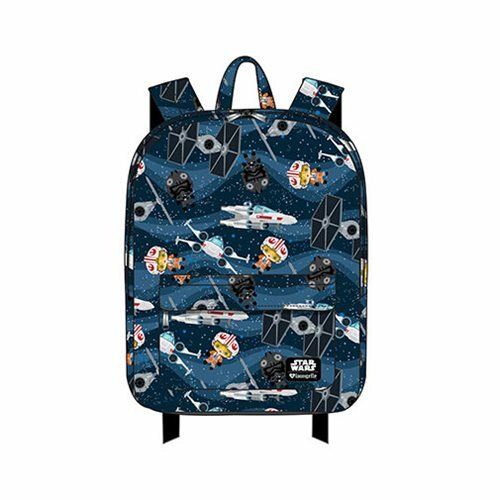 Vinyl figures – which makes sense, as Loungefly is part of the Funko company. Please note these are pre-order items, with stock expected to arrive in November 2018. 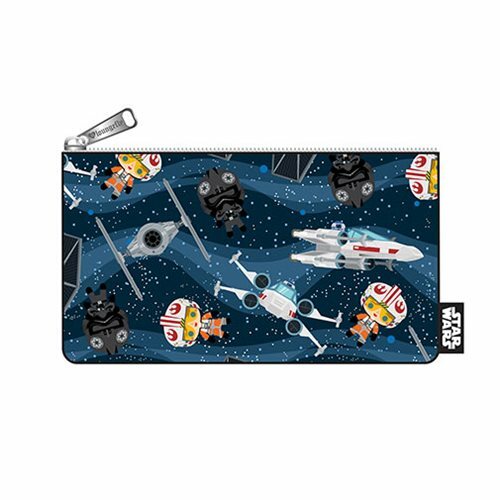 Prices range from US$8.00 to US$56.00 each – while Entertainment Earth can ship internationally, these Loungefly x Star Wars items can only ship to selected countries (overseas customers can order via a mail forwarding service).